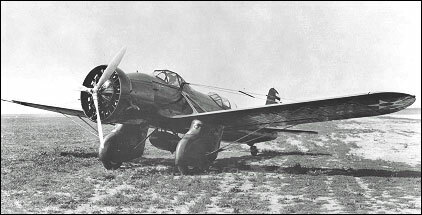 The first YA-8 was used to test the feasibility of producing a radial engine-powered version of the Curtiss A-8. The liquid-cooled Curtiss "Conqueror" engine was removed and replaced with a Pratt & Whitney air-cooled radial engine. Because the liquid cooling system was extremely vulnerable to enemy fire, the Air Corps believed fitting air cooled engine would give the ground attack aircraft increased combat durability. The conversion was completed by September 1932 and the aircraft was re-designated YA-10 because of the engine change. It was common in the 1920s and 1930s to test different engines on an airframe and assign a new designation to each model tested. The performance of the YA-10 was about the same as the A-8, but the air cooled radial engine was favored over a liquid cooled engine. After testing was complete, the Army changed the order for 46 A-8Bs (with geared "Conqueror" engines) to A-12s. The Curtiss A-12 was equipped with a Pratt & Whitney radial engine and was essentially a production version of the YA-10. The YA-10 remained in service through the late 1930s. After service testing, the aircraft was assigned to the 3rd Attack Group for operational service. In the summer of 1934, the YA-10 was assigned to the Command and General Staff School. The YA-10 was scrapped in early 1939.